We may not be undergrads, but the back-to-school season is influencing our sartorial choices as we head into fall. 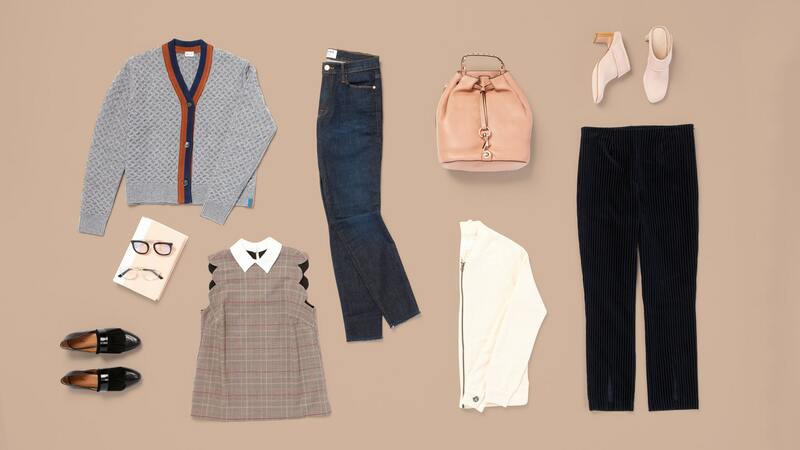 Because when building a fall wardrobe, you can never go wrong with classic, preppy staples. We’ve outlined three academic looks ranging from oh-so-subtle to all-in that are guaranteed to have you looking top of the class, yet entirely office-appropriate this season. Keep reading to see our picks, then feel free to take notes to pass onto your stylist. A jacket or cable-knit cardigan with varsity-inspired trim is a classic that never goes out of style. Pair this cozy top layer with a fitted blouse or button-down underneath, then tuck it into a pair of tailored ankle pants to create a comfortable and polished look. This look is for anyone eager to embrace their inner prepster. Begin by choosing a demure top with overtly feminine details such as a bows, scalloped edges, or a crisp collar and pair it with simple skinny jeans in a black wash. Contrast the softness of the blouse with a structured blazer and an elegant leather backpack, also in black, to create a cohesive look. Whether it’s a pop-quiz or unpredictable weather, be prepared for anything with this easy outfit formula: Pair a cozy pullover with skinny jeans and and add heeled mules that lengthen the overall look. Don’t forget to add a classic trench (preferably one with a power plaid print) to bring in the old-school charm.